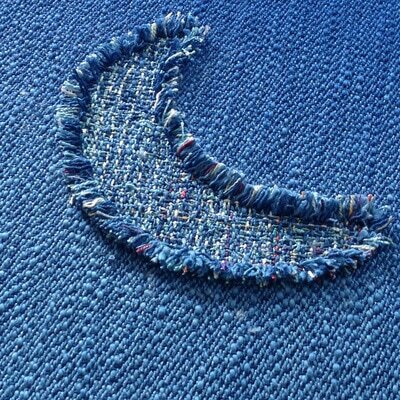 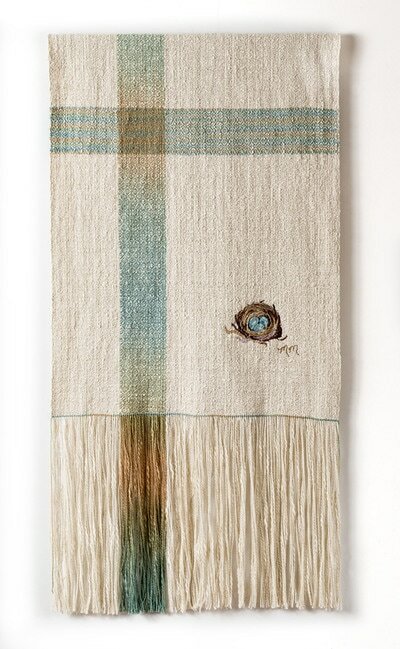 Uniting the ancient traditions of weaving with innovative techniques, Marni Martin creates hand woven tapestries and wearable art. 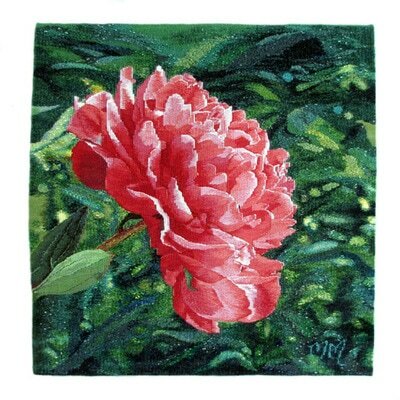 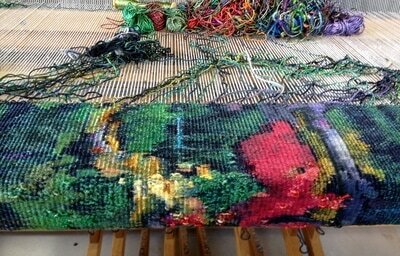 Introduced to Fibre Art at the Nova Scotia College of Art and Design, Marni’s rich hand dyed colours and sensual fibres have become her signature. 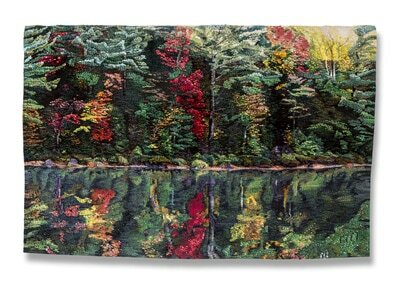 Deep family roots in Muskoka and a love for the landscape have shaped Marni and continue to evoke a sense of wonder that she carries forth into her weaving. 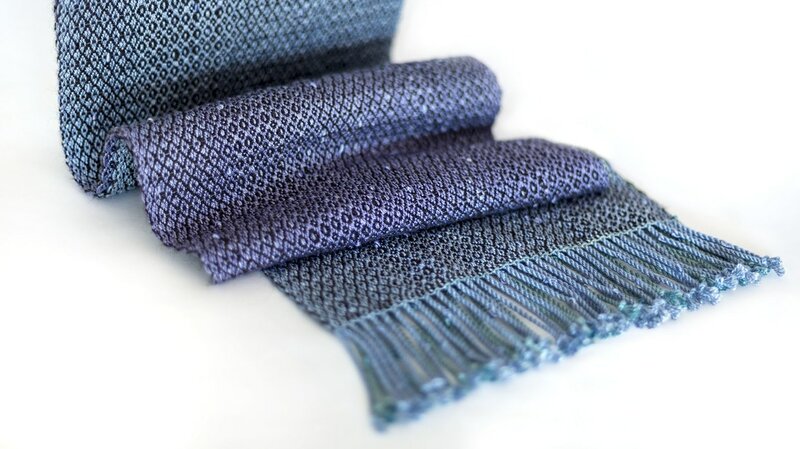 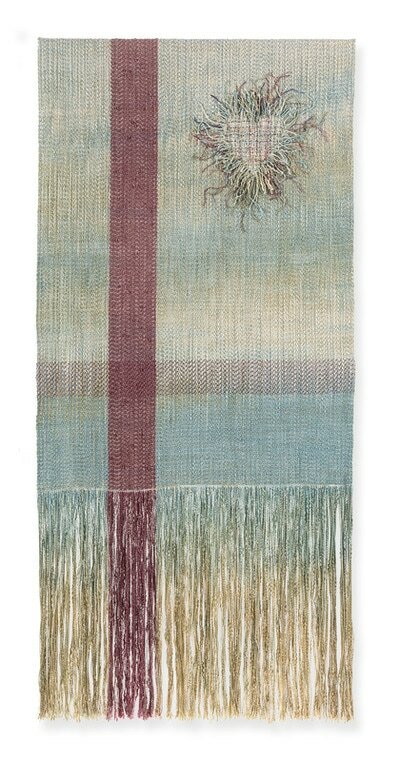 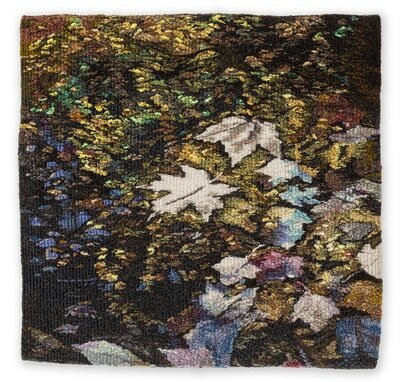 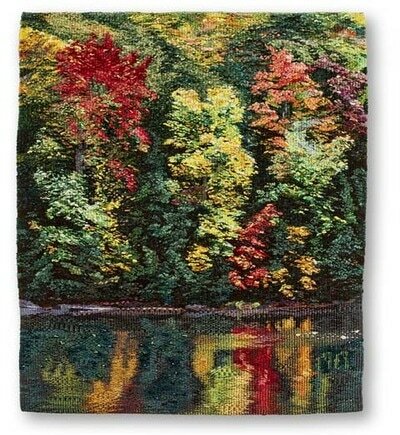 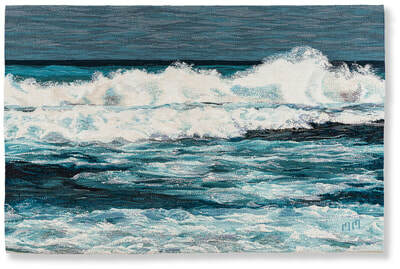 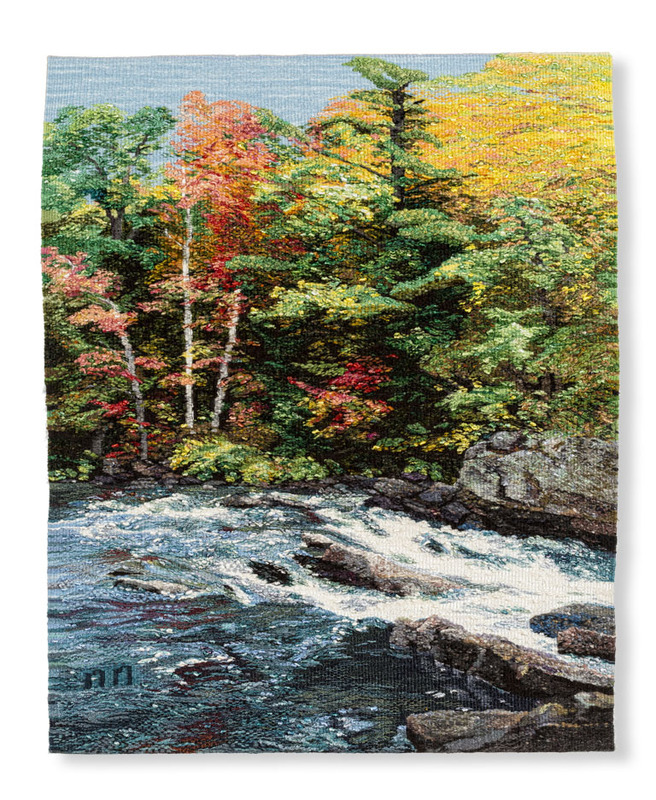 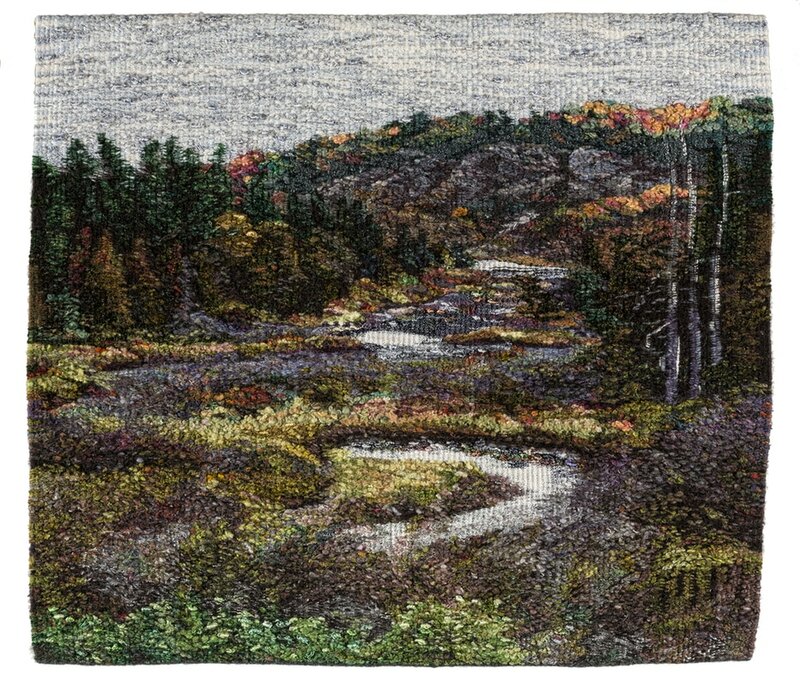 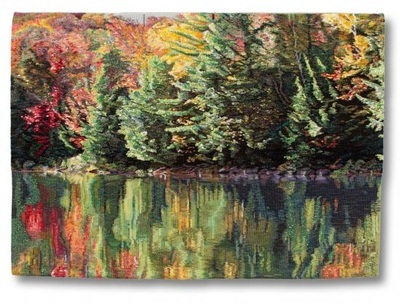 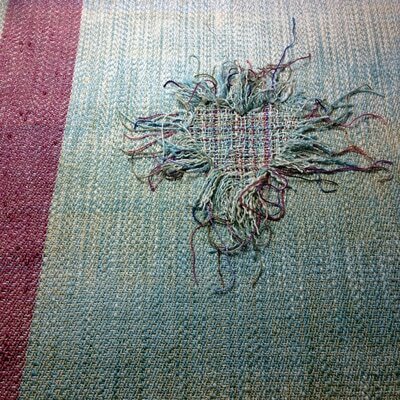 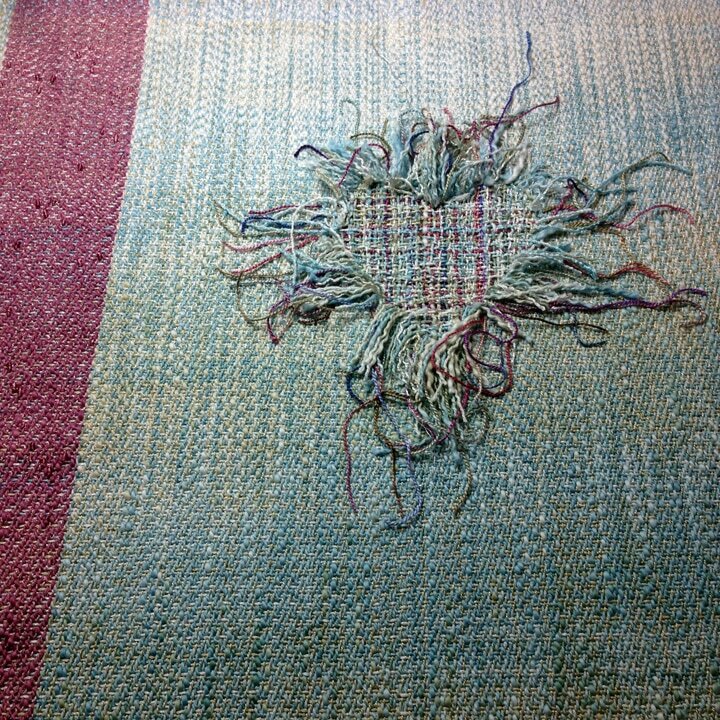 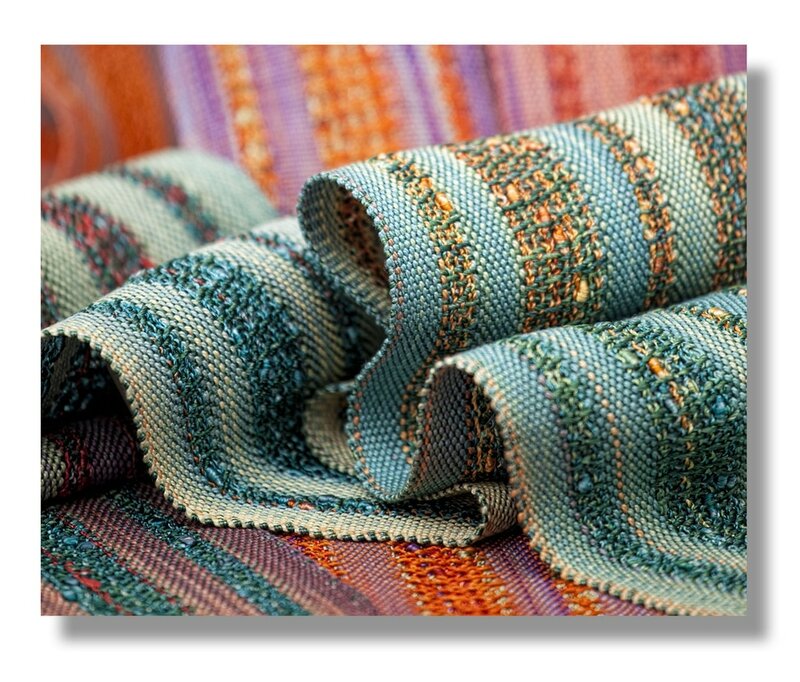 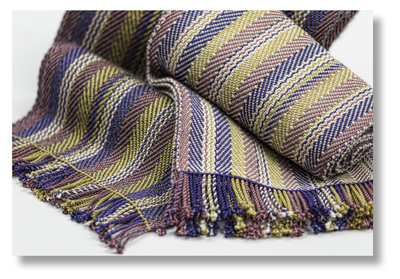 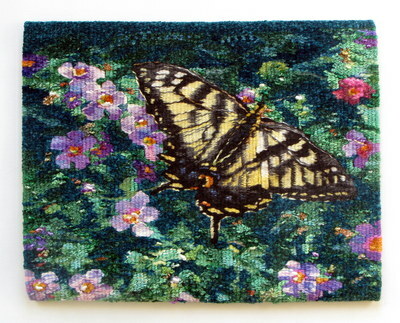 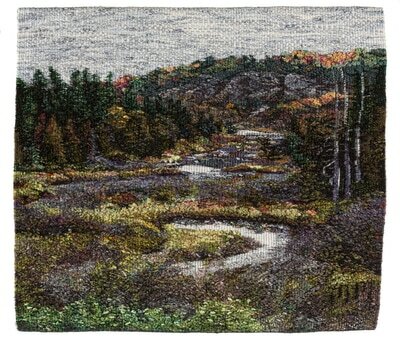 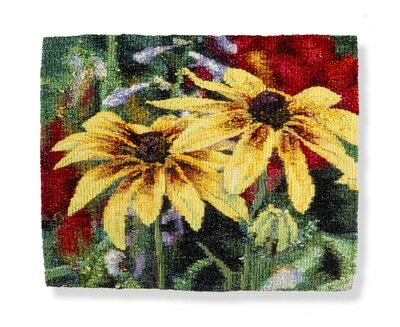 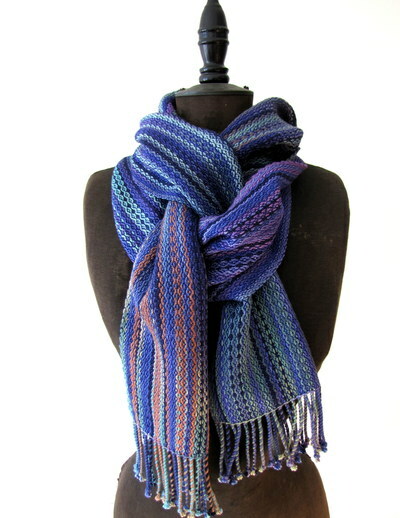 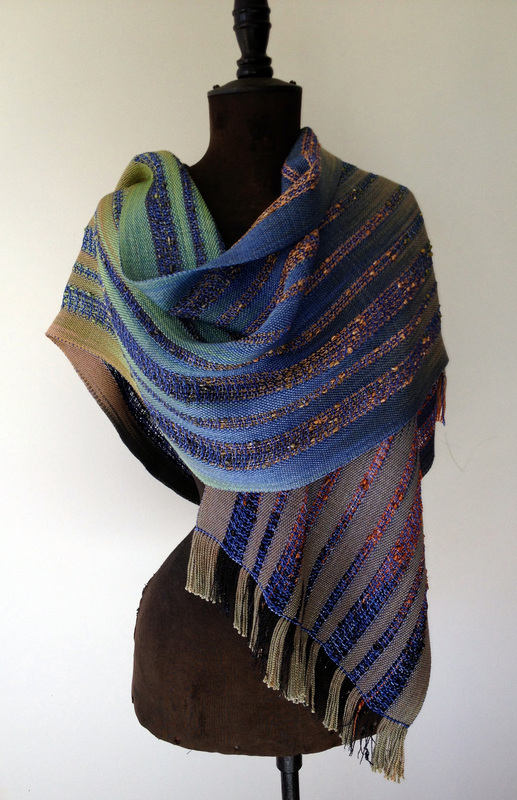 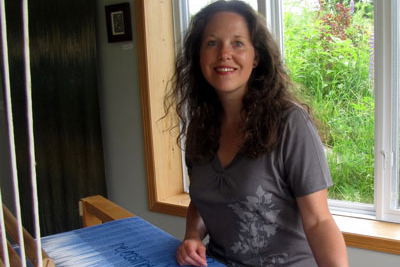 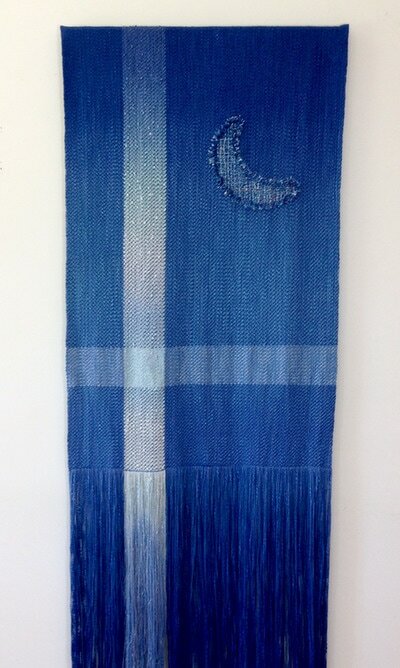 The colours and rhythms of the landscape are hand-dyed and woven into tapestries, scarves and wraps. Marni was honoured to have her scarves presented as the Official Spousal Gift for the G8 Summit in Muskoka. Commissions inspired by places and spaces are a specialty of Marni's and are welcomed. 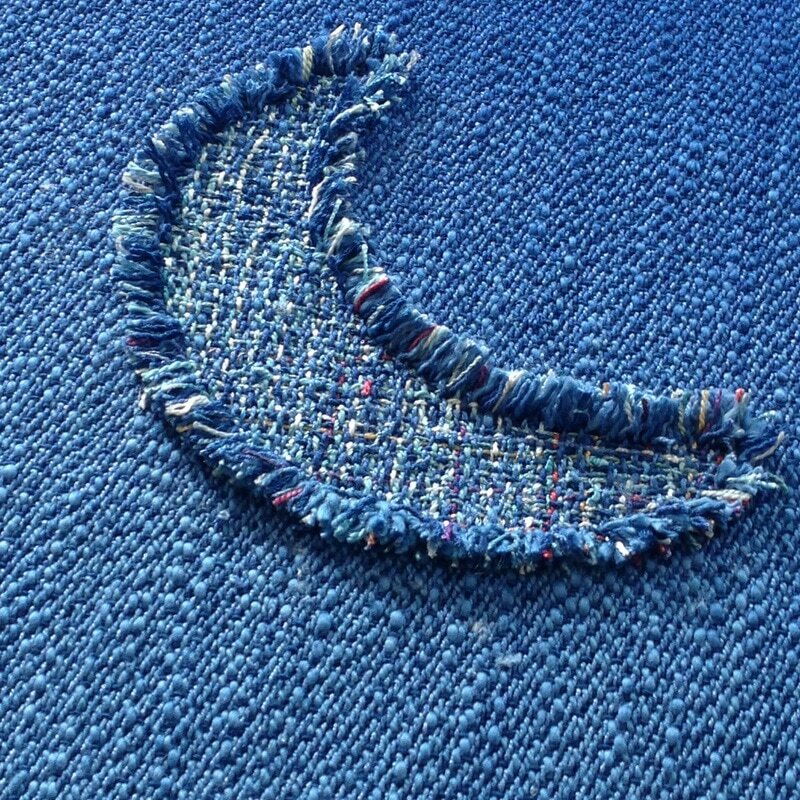 Marni’s work is fresh and continually evolving. 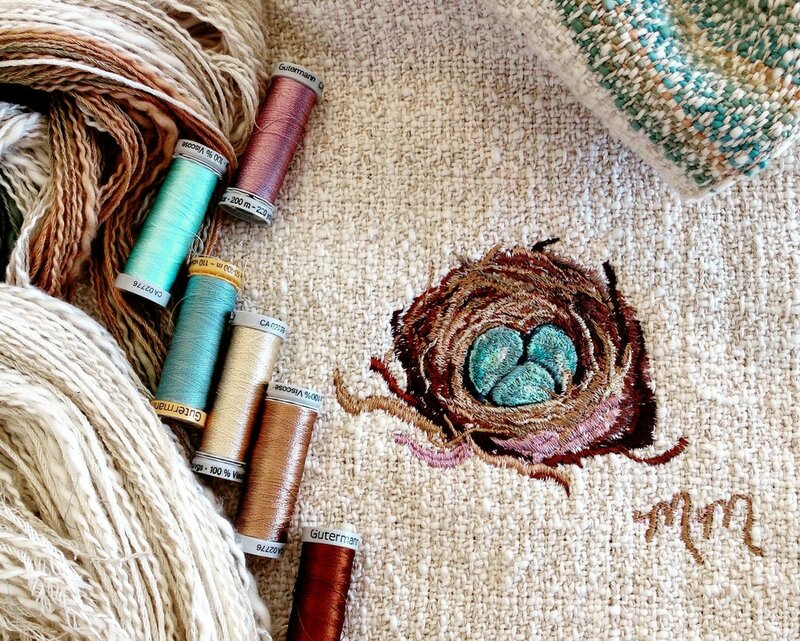 A visit to the studio is sure to inspire. Driving directions: From Main St. in downtown Huntsville or Baysville, take Brunel Rd (Muskoka Rd. 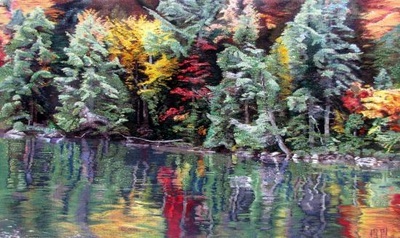 2) to North Mary Lake Rd., travel 1.5 kms to studio. Regular Studio Hours: By chance or appointment.